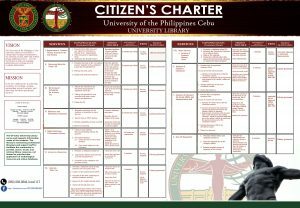 the following electronic books currently subscribed to by the UP System UniversityLibraries . Access to these electronic resources is via IP Address authentication and is therefore limited to users accessing from within any of the University’s Constituent units using computers connected to its network. *All titles are shared to all UP System University Libraries, access are link to UP Diliman official website. Offers instant access to the world’s premier scientific and technical references published by the CRC Press. Collection from subject areas, General Engineering, Chem Engineering, Computer Science and Enviromental Engineering is only available for access. Filipiniana research works from ProQuest Dissertations and Theses — Full Text, “the world’s most comprehensive collection of dissertations and theses. The official digital dissertations archive for the Library of Congress and the database of record for graduate research.” Theses and dissertations written by Filipinos who have studied in foreign universities. hosts the world’s broadest and deepest multidisciplinary collection of online resources covering life, health and physical sciences, social science, and the humanities. It delivers seamless integrated access to over 4 million articles from 1500 journals, over 14,000 online books, and hundreds of reference works, laboratory protocols and databases.Featuring a clean and simple interface, this online service delivers intuitive navigation, enhanced discoverability, expanded functionalities and a range of personalization and alerting options.